From creativity of the human brain to a sports brand launch, the key word at the event is collaboration. By David Benady. Last week’s Mindshare Huddle event provided another look at the future of media. Some 1,500 clients, media owners, technologists and staff attended more than 200 sessions at the agency’s Central Saint Giles offices in London. From how the human brain is hardwired for creativity to how to launch a sports brand, this year’s conference aimed to shed light on the areas of urgency for businesses. 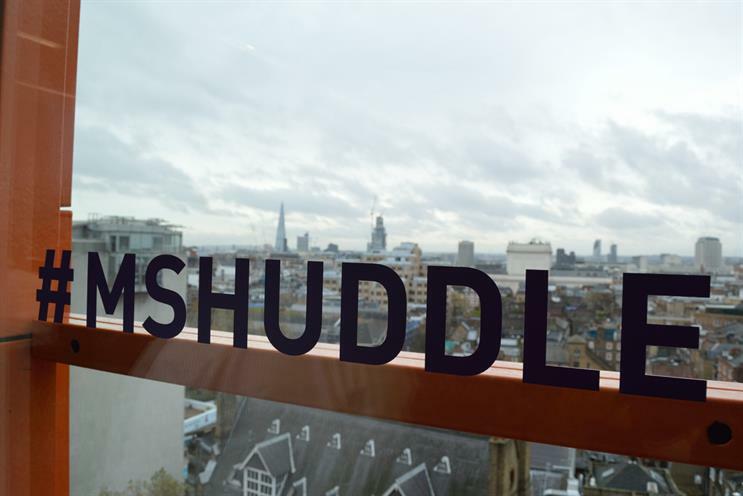 Huddle deliberately avoids having a unifying theme as it seeks to broaden people’s horizons. If anything, the central idea is the need for disparate media elements to collaborate. As Mindshare’s UK chief executive, Mark Creighton, said: "Media is increasingly defined by the relationship between content, technology and data. Those three points are the things that will change the landscape." He called the media of old a "baton-passing exercise" between clients, researchers, creative agencies and media shops, and said that this cannot work in a world of technological integration. Therefore Huddle aims to shift behaviour in the industry towards collaboration between the different components of the process. Although there was a notable absence of creative agencies, Creighton maintained that Mindshare collaborates closely with them in its work. A talk on creativity and the human brain was presented by Lord Winston, an expert in reproductive medicine who has fronted his own TV series and writes regularly in the Daily Mirror. The session was sponsored by Trinity Mirror Solutions, the publishing group’s recently relaunched commercial division. Its chief revenue officer, James Wildman, said the session aimed to cement the position of the Daily Mirror as "the intelligent tabloid". When questioned whether this proposition is possible, Lord Winston defended the importance of tabloid newspapers. "Good tabloid reporting is highly skilled and gives information to people who wouldn’t have it in other ways," he said – although he described The Sun’s Page 3 as "tacky". But his strongest criticism was reserved for Apple and Facebook, which have offered female staff up to $20,000 to have their eggs frozen. He called the move an "exploitation of women", since the chances of having a baby through this process are about 7 per cent. In another session, the cyclist Mark Cavendish explored his relationship to the brands that have sponsored him throughout his career – such as Oakley and Nike – and discussed his own CVNDSH cycling equipment brand. Cavendish said: "I’ve always been a believer that I won’t just put my name to something. I have to believe in it; I have to be able to stand and talk about my partner without a cue sheet." The need for authenticity when forging collaborations with brands was echoed in a talk with the film director Kevin Macdonald, who shot The Last King Of Scotland and Sainsbury’s "Christmas in a day" campaign in 2013. Citing discussions that had "fallen away at the first hurdle" over how much control he would have over the creative process, Macdonald said: "Audiences don’t want to watch things that are just giant adverts – they want things that are good in their own right that the brand is associated with."